Prince William and Princess Kate made a surprise visit to meet students and parents Thursday to tackle and discuss cyberbullying, one of their most important charitable initiatives. It is an issue that has resonated and become critically important to Prince William and Princess Kate since becoming parents to their children Prince George, Princess Charlotte and Prince Louis. Britain’s Catherine, Duchess of Cambridge and Prince William, laugh as they visit BBC Broadcasting House in London, Nov. 15, 2018. Princess Kate wore a recycled dress by Emilia Wickstead, one of the British designers she relies on frequently for a variety of her most prominent engagements. 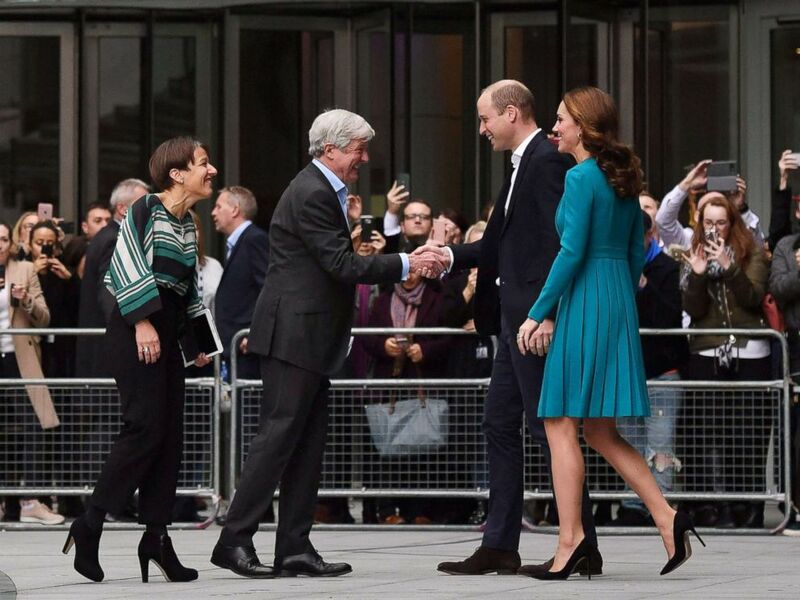 Britain’s Prince William and his wife, Catherine, Duchess of Cambridge, are greeted by Director-General of the BBC Tony Hall and Director of BBC Children’s Alice Webb during a visit to the BBC Broadcasting House in London, Nov. 15, 2018. Kate was dressed in an off-the-shoulder pink dress accessorized by a stunning pair of statement chandelier diamond earrings that she last wore to the BAFTAS in 2017. 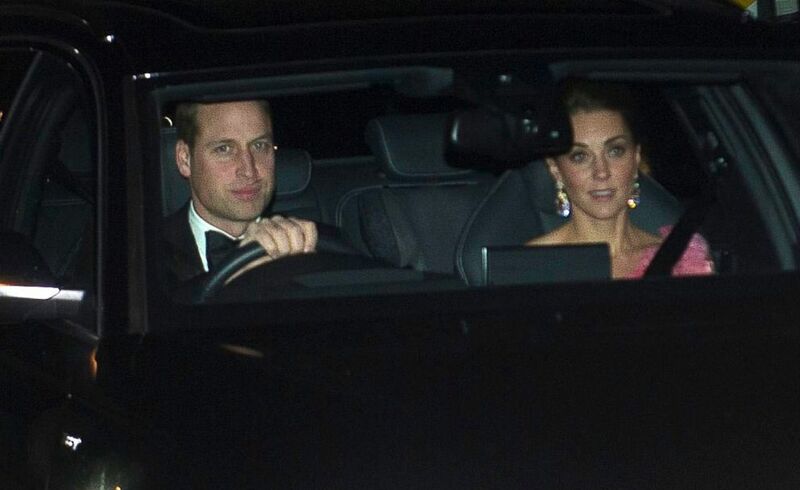 Prince William and Catherine, Duchess of Cambridge, arrive for 70th birthday party for Prince Charles at Buckingham Palace, London, Nov. 14, 2018. Meghan, the Duchess of Sussex, also wore a stunning pair of borrowed earrings which she was last seen wearing in Fiji. 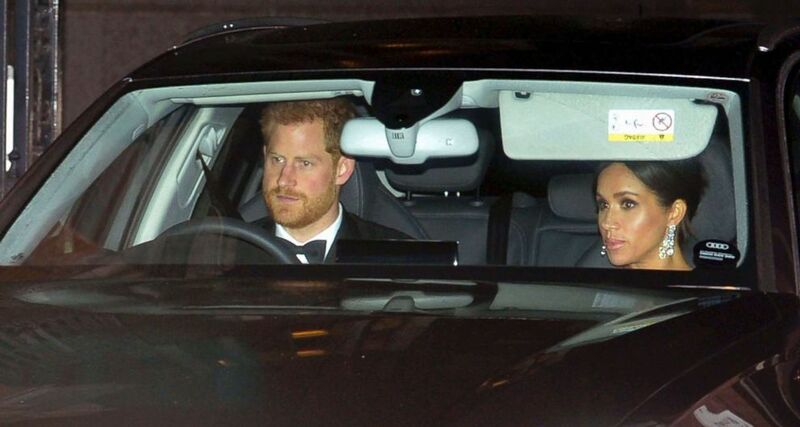 Britain’s Prince Harry and Meghan, Duchess of Sussex arrive at Buckingham Palace in London for the Prince of Wales’ 70th birthday party, in London, Nov. 14, 2018. The Queen made a poignant toast to Prince Charles at the lavish black-tie event.